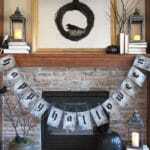 I love Halloween decorations and I especially love a fun Halloween banner DIY. It’s a relatively recent obsession, one I blame entirely on my friend Melanie. She’s Halloween CRAZY and each October her house looks like it was just staged for a Pottery Barn Halloween catalog photo shoot. 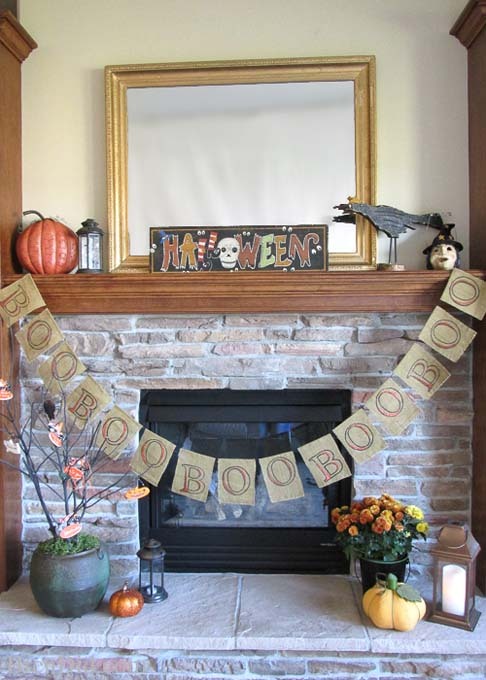 A quick look at my Halloween décor made me realize that it was looking a little dated. I pursued the Pottery Barn catalog for inspiration (and a few new items), but quickly realized that my love for their holiday decorations was greater than my budget. 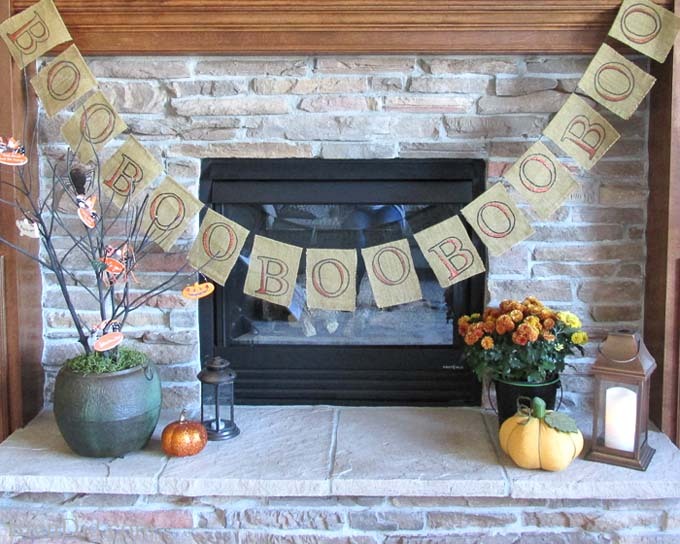 The Pottery Barn Boo Banner is adorably rustic and the design is so simple it can be made in less than an hour! 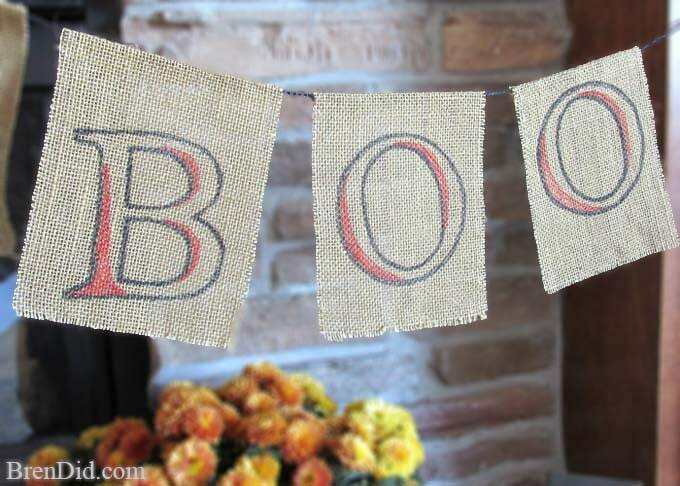 I’m including a printable PDF pattern you can use to make your very own banner; all you need is burlap, twine, a permanent marker and some glue! 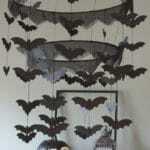 I hope you try making it or one of my other Halloween decorations. 2. 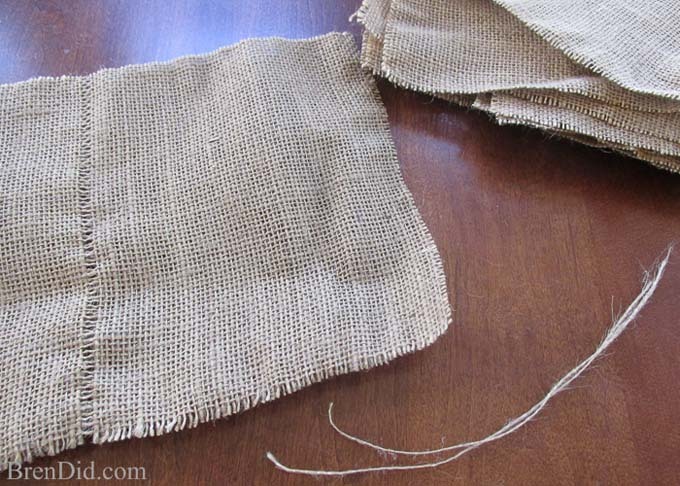 Use school glue to stop the edges of the burlap from fraying. I squeeze on a thin line and then use my finger to rub it gently into the material. 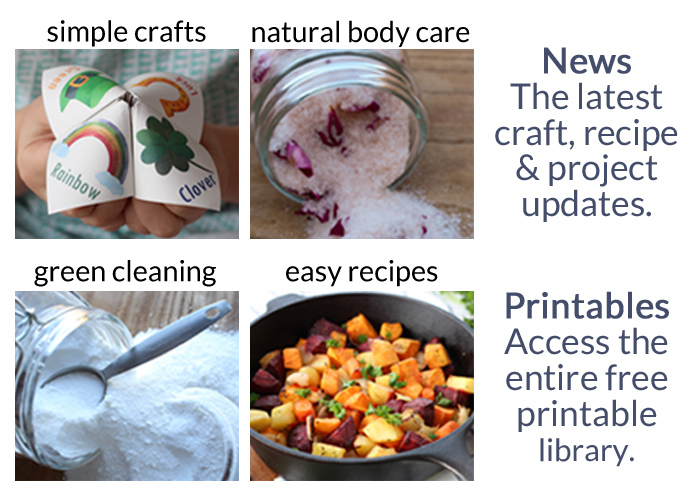 You can also use a fray stopping product, but school glue is more affordable. 3. 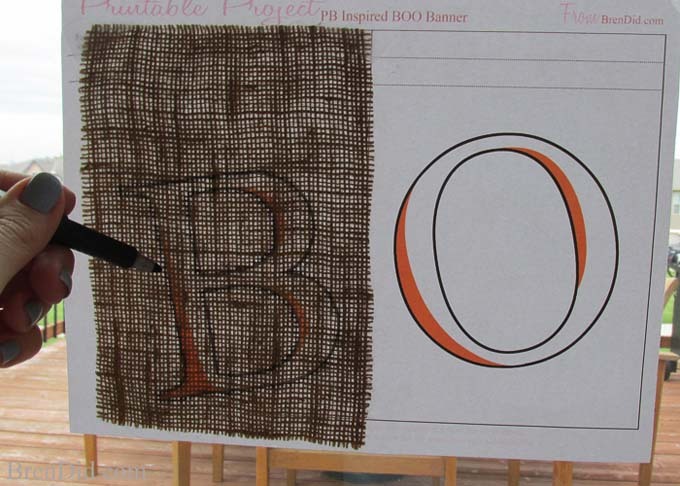 Print the banner lettering pattern. It's a free Adobe PDF file. 4. 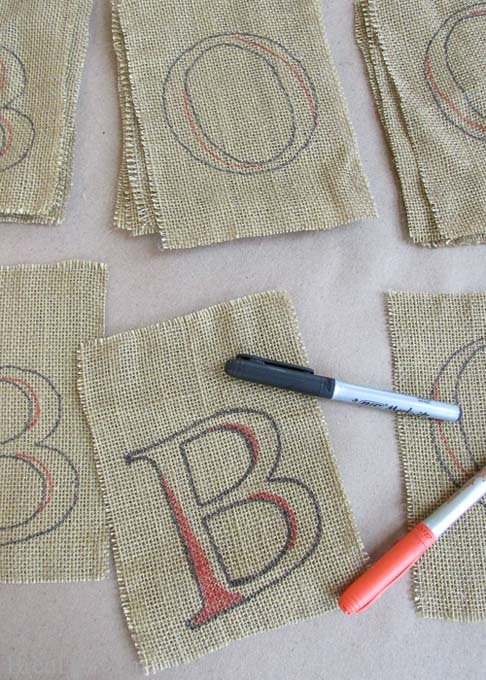 Trace each letter onto the burlap by hanging it on a window and using a permanent marker. Notice that the O’s ascend on the pennants (there are 2 different O patterns). Don’t make them all the same! 6. 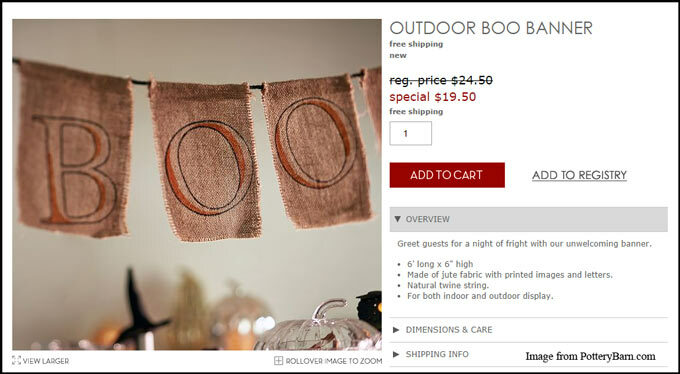 Now you have the basic design found on the Pottery Barn banner. 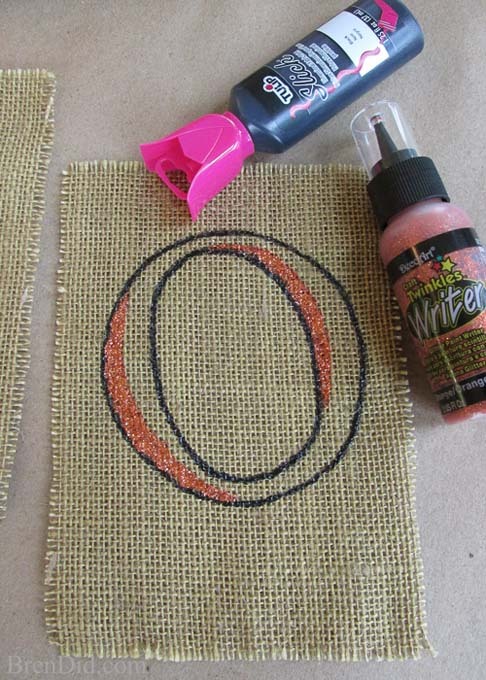 You can use fabric paint (Hello puffy paint! Where have you been since college?) to trace the outlines. I used glitter paint for the orange sections. This really makes the design stand out and adds some bling! (This step is completely optional. I did half of my BOO’s, I didn’t want to get TOO glittery!). Let the paint dry completely. 7. 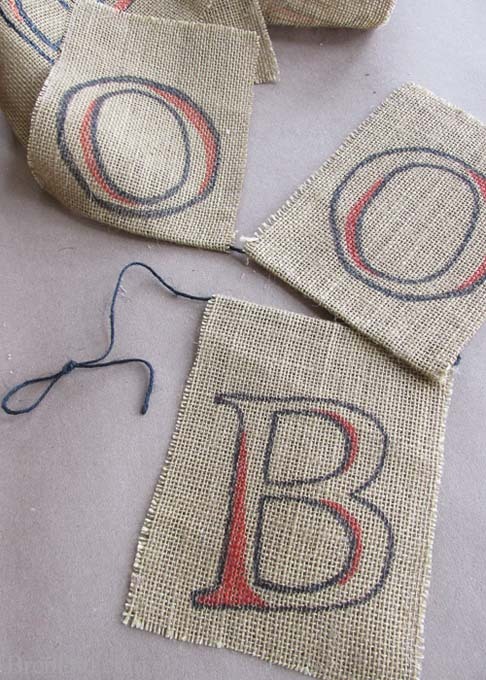 Cut 8 feet of black cord (if you are using more or less pennants, add or subtract 18 inches per “BOO”). The finished PB banner about 6 feet long. I used more twine because I like to have extra length at each end to attach the banner. If you want a shorter banner use 7 feet of cord, the ends will have a hanging loop that takes up several inches. Use a glue gun to attach your pennants to the cord. I use an iron to crease my pennants ½ inch from the top. 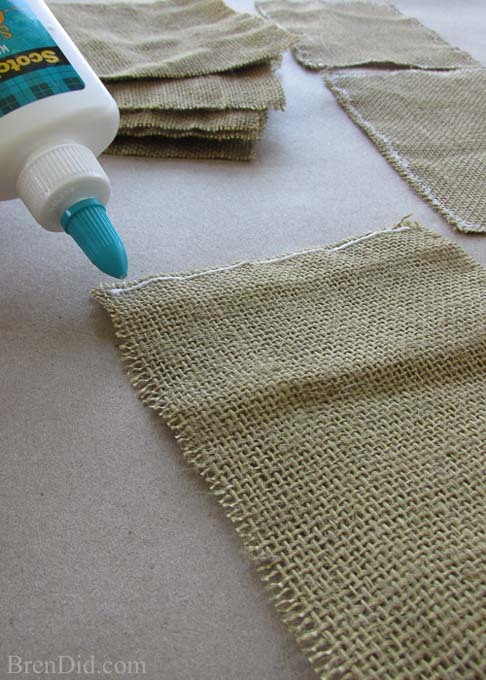 This makes a straight line to place the glue and twine. 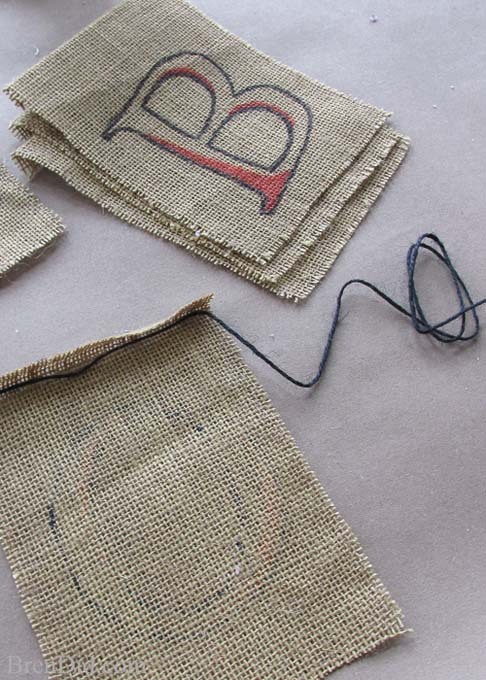 Go lightly on the glue, you do not want extra leaking out through the loose weave of the burlap. Space each pennant 1/4-1/2 inch apart. Tip: start from the middle of your cord and work out. 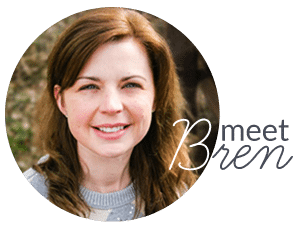 This ensures that your message is centered on your banner. 8. Knot cord at the end to make a hanger. 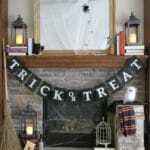 This adorable banner added the perfect Halloween touch to any area of your home. 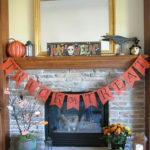 I love that you can make “mini” BOO Banners to fit in tight spaces or make a HUGE string for a deck or party room. The best part? 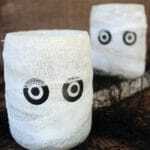 You don’t have to part with $24.50 to add it to your Halloween collection! That's a $20.10 savings (82% off). I LOVE the savings even more than my new banner! 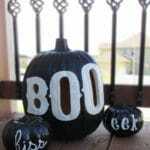 I hope you add one of my easy craft to your Halloween décor!